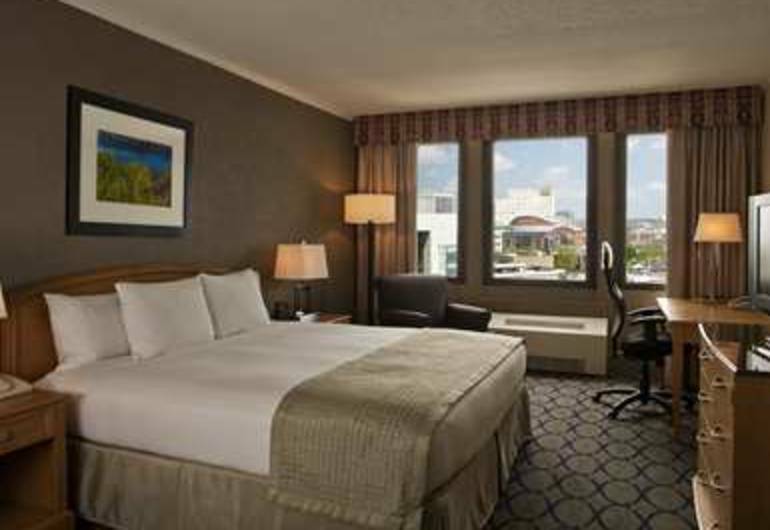 Stay at the Hilton Newark Penn Station hotel and enjoy professional service, modern comforts and a great base for exploring New York City. Adjoining Newark Penn Station, you are only 20 minutes from downtown Manhattan, NY via NJ Transport. The hotel’s complimentary airport shuttle service will have you at Newark Liberty Airport in 15 minutes. 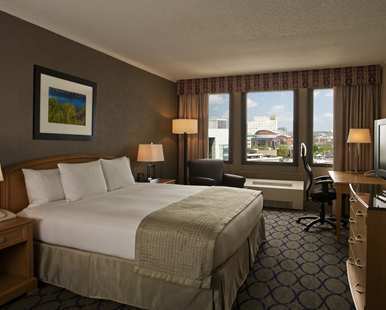 Stay connected in the complimentary business center or get some work done from the comfort of your guest room with WiFi. Your room provides the perfect place to relax after a hectic day, watch a movie on the flat screen TV, read the complimentary daily newspaper or listen to your favorite album with the Mp3 compatible alarm clock. Upgrade to an executive room or suite and enjoy extra space and a range of special touches. Stay at Hilton among Newark Penn Station hotels, we are close to Gateway Center, Panasonic, Prudential and many corporations. Unwind with a work out in the fully equipped fitness center or head to the Market Street Grill for a drink with friends. This popular Newark restaurant is open for breakfast, lunch and dinner serving delicious freshly prepared cuisine. With the Gateway Center attached to the hotel you are never far away from a wide choice of shops and eateries. The 15 flexible function rooms at the Hilton Newark Penn Station hotel make it an ideal meeting venue in downtown Newark, New Jersey.